Koakro - future cure for AIDS? "Koakro" - future cure for AIDS? ....KNUST affirms potency of herbal mixture for management of AIDS Kumasi, Dec 19, GNA - Investigations and research being conducted by a team of scientists of the Kwame Nkrumah University of Science and Technology (KNUST) on the potency of a herbal mixture known as "Koakro" shows that the product could effectively manage HIV/AIDS and possibly cure the menace. The research started a year ago. The six-member team made up of lecturers and technicians of the Bio-Chemistry Department of the KNUST found that the product is effective in the fight against most "microbes that infect HIV/AIDS patients". 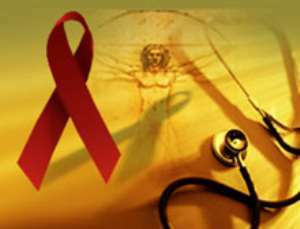 Mr Ebenezer Okletey Terlabi, Head of the six-member team, said this to the Ghana News Agency in Kumasi at the weekend on efforts being made by the Bio-Chemistry Department in collaboration with herbalists to seek a cure for the HIV/AIDS menace. The "Koakro" herbal mixture is the product of Mr Kamara Agyepong, an herbalist. Mr Terlabi said Mr Agyepong's clinic is being used as a catchments area from where HIV/AIDS patients are brought to the chemical analysis laboratory of the Bio-Chemistry Department for management and supervision. The research team and Mr Agyepong have 20 HIV/AIDS patients who are being managed with the "Koakro" mixture. Mr Terlabi said the team's investigations also showed that besides suppressing and effectively managing HIV ailments, the herbal mixture was also found to be able to cure candida, one of the very troublesome infections that kill HIV patients. He said the mixture was administered on a number of AIDS patients over a three-week period and it was found out that there was a significant improvement in the HB haemoglobin content while white blood cell counts and weight of the victim increased significantly. "With our findings, we are now convinced that the "Koakro" mixture is as potent as the anti-retroviral drug, only we now have to confirm this feat by the use of the viral load/CD count determinant machine", he added, Mr Terlabi said their problem now is the absence of that machine and therefore appealed to the government and NGOs to assist them acquire the equipment to accomplish their research work.